Where does the world-class talent of Jari Litmanen rank? FINLAND, THE LAND of a thousand lakes, is a socialist utopia. It’s a nation that leaves its people wanting for little. An egalitarian state with arguably the highest quality of life in the world. In Finland, their goals are 6×6, not 8×8, and their stars are hockey players and winter Olympians. Jari Litmanen’s rise to prominence is, however, different to that of his peers. This is not the tale of bad kid come good, nor did he pull himself up by his bootstraps. Football was in his genetic makeup; his career smacked of a sense of pre-determinism. Simply put, it was the family business. His father, Olavi, was a Finnish international and one-club man, spending his entire career with FC Lahti. His mother, too, was a footballer, playing for both the national side and FC Lahti, something which Jari would later do. Young Jari, however, could not be shackled to the Veikkausliiga. Finland was familiar and it was safe, however there can be no prestige without mystery, as familiarity breeds contempt. Following his parents’ footsteps, he began playing for Lahti at the age of six. 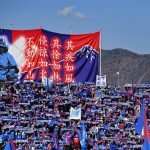 After 10 years in the youth set-up, he would finally make his long-awaited professional debut for his hometown club at 16. It wouldn’t be until 1990 that FC Lahti would see ‘Litti’s’ predatory instincts, lurking like a shadow on the edge of the box, waiting for a slip or a moment of weakness. Whilst at MYPA Jari reached the final of the Finnish Cup, and it would prove to be his only chance of silverware during his spell in his home nation. They would face FF Jaro in the Helsinki Olympic Stadium. Litmanen delighted in what was arguably the biggest game of his career to date as he scored and led his side to a 2-0 victory. More importantly, however, the Finn managed to attract the attention of a scout from Ajax; it was a move that would set in motion a relationship that would last almost a decade. 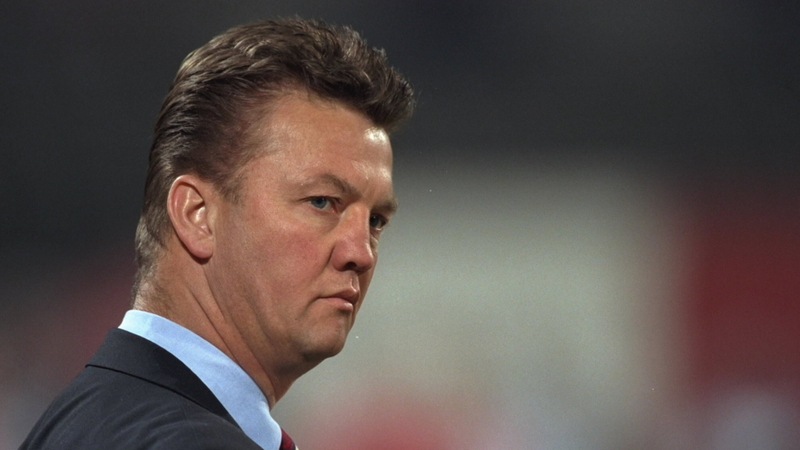 Louis van Gaal – the attacker’s new manager – and Litmanen worked side-by-side on their paths to greatness at Ajax. The enigmatic Dutchman and the somewhat stoic Finn’s relationship was not born out of design but forged out of necessity. The 1990s were the wild west in terms of scouting; an unlawful town where disarray and chaos reigned. There was a sense that you never quite knew what – or who – you were signing. A proverbial game of Russian roulette. After joining the Amsterdam giants, Jari initially failed to acclimatise to his new surroundings. Life as a 21-year-old attempting to find your way in the world can be a struggle at the best of times, but when you have moved from the industrial district of Kouvola to one of Europe’s most bohemian cities, time is needed. He spent most of his first year at Ajax plying his trade for the club’s reserves as his favoured position – number 10, just off the striker – was being occupied by Dennis Bergkamp, a player who had ice flowing through his veins. Early impressions suggested that van Gaal was somewhat unimpressed by his new signing, with his modesty mistaken for timidity. There was a sense around the club that Litmanen was overawed by the stature of Ajax. His big break finally came not via the manager, but via the club’s physiotherapist, who believed Jari could take the place of Bergkamp after the Dutchman suffered an injury. Bergkamp’s future would eventually lie away from Amsterdam, with Milan his destination, and the club had a gaping hole that needed filling. 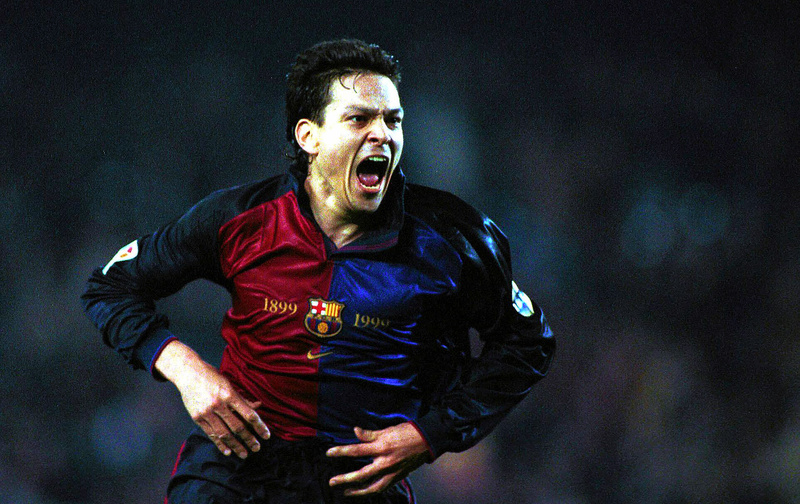 Litmanen’s second season would see him grow into a player who would lay waste to the league. He replaced Bergkamp, and then some. Scoring 26 goals – matching Bergkamp’s tally for the previous season – and creating countless others, Litmanen embodied the Johan Cruyff line that every disadvantage has an advantage in football. He wasn’t a player endowed with breakneck pace, nor was he particularly strong, but he let his instincts and self-confidence guide him. 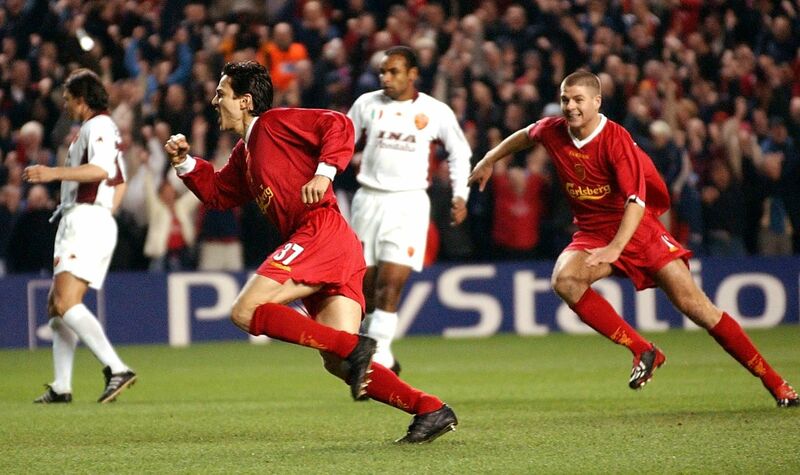 Litmanen was neurotic, but comfortably so. Amsterdam danced to the beat of Louis’ men, and it was a two-year party that would cease to stop. The beer was sweeter and the air was cleaner when Ajax ruled the world. It was the rare instance where a team and its city were inexplicability linked. After all, this was a young, vibrant team with a young, Dutch core. Winning the league in emphatic style, scoring 106 goals in the process, Ajax went unbeaten throughout the entire season. The team would grow exponentially, taking Europe by the throat. Ajax would go unbeaten through the Champions League group stage in 1994-95, beating Fabio Capello’s mighty Milan, AEK Athens and Salzburg along the way. They strolled through the tournament, demolishing Bayern Munich 5-2 in the semi-finals, with Litmanen scoring two. On 24 May 1995, the swirling, haunting, synth beats of Vienna would fill the air as Ajax met Milan in the final. Milan were old heads at this final business, and this was their third final in as many years. Ajax were a side of young wastrels, who came not to play, but to win. The stadium was raucous with one set of fans in expectation, and the other in pure delirium. Litmanen found his chances stifled throughout the game, with Marcel Desailly sticking to him like a shadow and was duly taken off in the 70th minute. He struggled to impact the final in the way that he did the group stage, however as time seemed to slow to a crawl and Patrick Kluivert stabbed home a late winner, none of that really mattered. Jari became the first Finn to lift the Champions League. 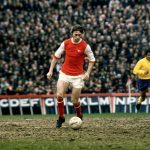 At times he placed the team on his back and dragged them through with a mixture of skill and grit, and as the club’s leading scorer in the competition he had successfully led by example. He ended the season with 27 goals in all competitions, a Champions League winner’s medal, an Eredivisie title medal, and a Dutch Super Cup. It would never be so good again. Sadly for the mercurial Finn, his rapid ascent was met with an equally quick decline. For Litmanen, there would be no Indian Summer. It takes years to build a reputation, however it takes months to destroy one. By 1999, Jari was no longer the cerebral lynch pin of Ajax’s side; he was a player whose body had begun to wilt under the immense strain that he put himself through each game. The Observer rather harshly noted in 2000 that Jari was “going the way of the Pope, making few appearances and looking more frail each time.” Whenever Litmanen did manage to get on to the pitch, he rarely fulfilled his role for the team – his body was simply not allowing him to play. Louis van Gaal, having followed a well-trodden Dutch path to Barcelona, was trying recreate history, but by getting the old Ajax band back together – including Litmanen – he ultimately stagnated the present and failed to hit the heights that many expected. As a result, a Catalan cull had begun in earnest and seven of those that departed were van Gaal’s men from the Ajax team of 1995. Spain wasn’t kind to Litmanen and his reputation was getting battered from all angles as he began to become an insular character. The waif that arrived in Amsterdam had returned. Injuries plague a player’s psych, they create self doubt in a way that nothing else can, and if you can’t trust your body, what can you trust? Van Gaal’s sacking would leading to Jari being frozen out in the Catalan sun and Lorenzo Serra Ferrer duly allowed the Finnish international to leave on a free transfer to Liverpool. His pilgrimage to Merseyside would end in yet more heartbreak for a genius struggling to find actuality. His pilgrimage to Merseyside would end in yet more heartbreak for a genius struggling to find actuality. He eulogised about his love for Liverpool, and asked for the iconic 7 shirt, however with Vladimír Šmicer occupying it, he was left with 37. Injuries betwixt with sporadic brilliance would be the story of Litmanen at Liverpool, with a few notable goals putting a somewhat sunny disposition on a difficult period. It was a time of immense frustration for Jari; when Gérard Houllier had signed him, he waxed lyrical about “the world-class player” who had arrived at Melwood. Once again, however, his fitness was called into question, with Houllier saying he couldn’t complete 90 minutes. While he spent each of the three finals that season in the treatment room, he did have some influence on those in Merseyside. A 16-year-old Wayne Rooney would be exposed to the attacking star and later dubbed him as the player he enjoyed watching most. Rooney would wonder, “how did he make that space for himself”, as the player once called Merlin would shimmy and glide out of danger. His later career would see him return to Ajax, and then back home to Finland where it was dubbed the “return of the king”. It was perhaps ironic that a player who struggled to overcome injuries during his best years would end up playing until 40 at club level and retire with 137 national caps to unequivocally become the greatest Finnish player of all time. Paul Simpson of FourFourTwo once wrote that Jari Litmanen’s career “had not been worthy of his talent” – and he couldn’t have put it better. Despite the setbacks, he was a player of immense quality, a lionheart made of glass, complete with talent that places him amongst the true greats of the game. Simply put, his ability cannot be called into question. He was a special breed of playmaker, a player born out of Johan Cruyff’s counter-intuitive liberal theories. He was not the artist playmaker – Jari was the antithesis of modern art – but he was functional and brilliant. He was an everyman. The mark he left on his nation is enormous; in a country where ice hockey reigned supreme, he inspired players to leave the frozen tundra for the greener pastures of a football pitch. In his hometown of Lahti stands a statue of Kuningas (Jari the king). How does one measure true greatness? A swollen trophy cabinet? Perhaps. I would argue that greatness is the impact that you leave on your peers, and the ability to use your career to inspire people to see the game in a new way. In the 1990s, as consumerism and individuality became king, Litmanen sacrificed himself to the cause and did it with an abundance of grace and poise. Whether he is an all-time great in the grand scheme of things probably depends on how you view the game and your definition of greatness.